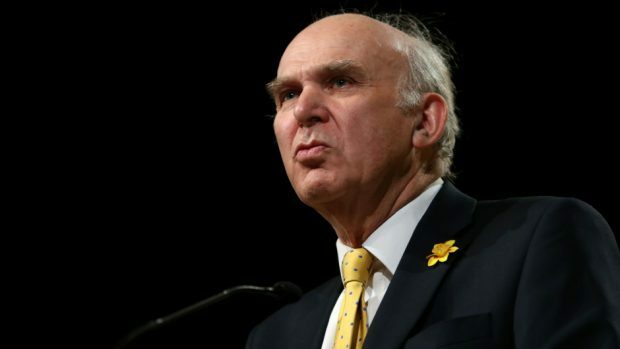 The 75-year-old said reports of his imminent departure were “very wide of the mark” and insisted he would stay on to steer the party through any Brexit-related turmoil, including a possible general election. However, in a London speech, he said the time would be right for a leadership election afterwards, under new rules which he unveiled to widen participation in the party. Ideas include creating a “supporters’ scheme” aimed at giving 200,000 online supporters more of a say in the party’s direction, and enabling a leader to be chosen who is not a sitting MP. Orkney and Shetland MP Alistair Carmichael, who has again ruled himself out of a bid for the top job, backed the proposals last night. He said: “This is a moment where the party has got to be prepared to look outwards and bring in new people. “I think there’s a massive number of people in Britain today who feel completely disenfranchised by what they see going on in the House of Commons. “The extremists have taken over both the Conservative and Labour parties. Sir Vince told an audience at the Liberal Club he had already made it clear he did not want to follow in the footsteps of Liberal prime minister William Gladstone, who served into his 80s. He added: “Reports I have read of my imminent departure are very wide of the mark. Now is not the time for an internal election, there is serious work for me and the party to do.